What other folks might not understand is that lifeless piece of sheet metal reminds you of your father, your brother or your sister. Your best friend in high school. Your first date. Your first drag race. Of a time when you had fewer cares and more free time. It’s not just a car. It’s a flood of memories, a rush of stories and a smile. And that is what we’re all about. We’re not in this business because we have to be. We’re here because we love it. And we want you to join us on our adventure. Combined, we have more than half a century of experience buying and selling cars, working on cars, and driving cars. And that last point is important, because we believe that’s what automobiles are still meant to do, monetary and historical considerations be damned. Cars were built to move. 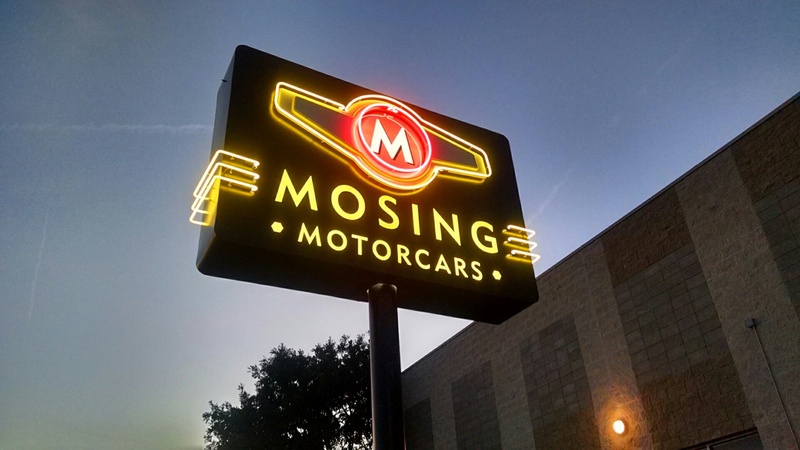 At Mosing, a big part of what we believe in is getting behind the wheel and experiencing what these machines were built for. We’ve been on the street, the strip, the road course, the oval and the dirt over the years, and we encourage you to do the same, with an appropriate vehicle that means something to you. Jeff Mosing (CEO and Director) – Jeff hails from Lafayette, Louisiana, where he got the bug for all things motor early in life. In fact, our current site banner shows a very young Jeff looking ahead through a turn in his pedal car, preparing for an early apex correction to catch his babysitter (off screen). The rest, as they say, is history. Jeff is a walking encyclopedia of automotive knowledge, especially when it comes to cars from the 60s, 70s and 80s. He lives, eats and breathes cars. Okay, he doesn’t eat them, but he’s been known to talk about them with his mouth full. And he’s always game for turning a wrench or shootin’ the breeze with you back in the garage or on the showroom floor. Kirk Winterrowd (General Manager) – Kirk comes from a car nut family, so much so that his parents can’t remember how many cars they have had through the years. Kirk enjoyed riding in the various cars that his family had and started collecting toy cars, and reading all of the car magazines and books he could get his hands on at a young age. After driving muscle cars during his high school and college years in West Texas, Kirk found himself back in Austin and wanted to try something more fun to drive around the great hill country roads in Central Texas. A 1989 RX-7 Turbo was his first small Japanese sports car which led to a few others but everyone who knows him well now, knows that he loves Miatas. He is currently driving his fourth and says that he can’t see himself not owning one for the rest of his life. Kirk furthered his automotive interest by working for both a Honda and Mazda dealer before getting into the world of auto auctions, which eventually led him to what he calls “a dream job” right here at Mosing Motorcars.